Tomorrow night I'll be teaching a two hour free meditation class at the Center for Spiritual Living in Carson City. It begins at 6:30. Wear comfortable clothing, and come prepared to relax and refresh! 1. 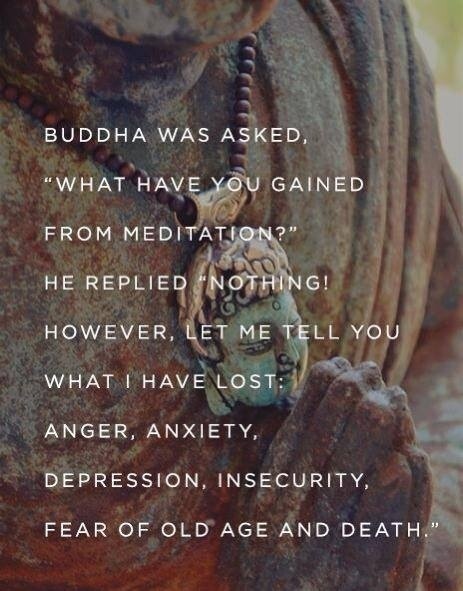 Meditation is not about clearing your mind, but about focus. 2. There are many different types of meditation, not just one. 3. Any activity can be turned into a meditation. 4. Group meditation is much more powerful than meditating alone; come tomorrow night and learn why! 5. Meditation is compatible with any spiritual or religious faith, or none. Tomorrow, we'll learn about some different ways to meditate! Recently I was reminded that I have a Gift in my life. And with this reminder came a grief that others don't have this Gift. It's a bittersweet sort of thing: gratitude and grief. I wish everyone had this Gift, but they don't. It's why I became a Spiritual Counselor, because I want others to have this Gift. It's not an easy one to accept, this Gift. I understand that. Because the Gift entails looking at one's own stuff. The Gift is a box of personal responsibility and forgiveness, all neatly wrapped up and ready and waiting for you to open. It takes a while to open this Gift, and it takes a lot of work, and it takes the assistance of people like me to open it. But once it is opened, be prepared to experience things like freedom, peace, joy, happiness, and strength. These are the attributes that come from having personal responsibility and forgiveness in one's life. These two things go hand in hand, each one building upon the other, until one is standing on a high altar of light that is unshakable in its foundation. I invite you to join me on this altar. It's very pleasant here. Take the Gift of personal responsibility and forgiveness, open it, and allow it to work its way into your life so you can be free.